I later developed a strong interest for military history with a focus on the 18th Century. 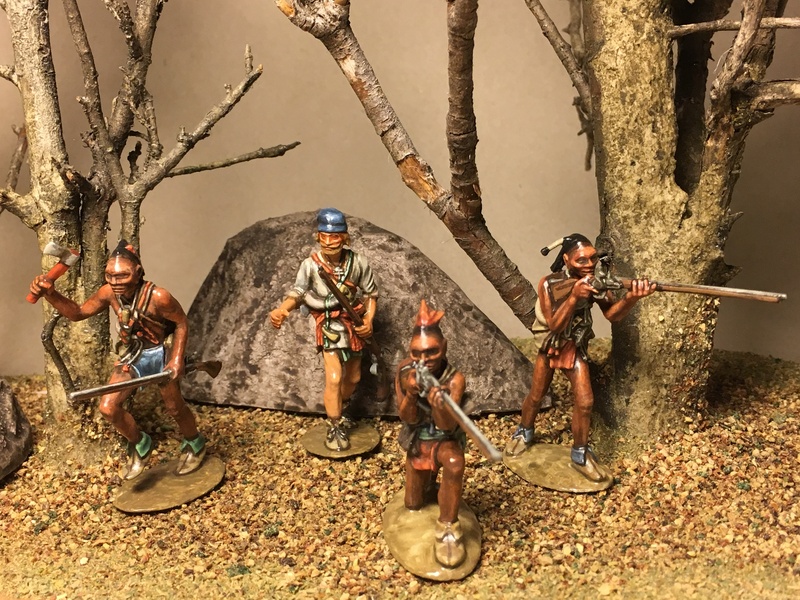 As very few miniatures were available for the period, I started scratch-building my own ones and eventually put together a small range of white-metal and resin toy soldiers for skirmish war gaming and display. 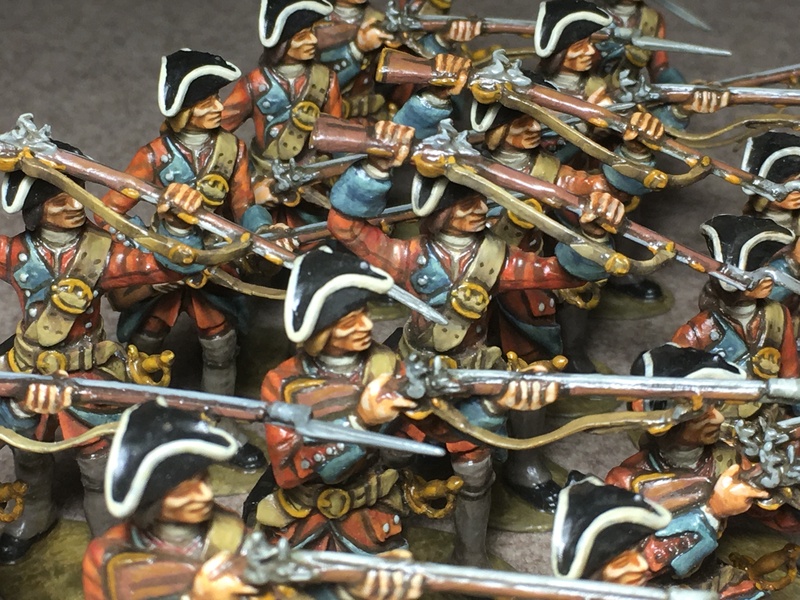 I am now setting out to perfect and expand my range, and thought it might be fit to introduce my new miniatures to a wider audience of fellow toy soldiers enthusiasts. I hope you enjoy browsing my web site. And if you have any questions and comments on my toy soldiers, or inquiries, please feel free to contact me. My period of choice is the mid 18th Century, the era known in Europe as the Rococo. More specifically, my interest focuses on the Petite Guerre, the unconventional, small-scale warfare that played such an imporatnt role in the conflicts of the 1740s and 1750s: the War of the Austrian Succession, the Seven Years War, and of course the French and Indian Wars. 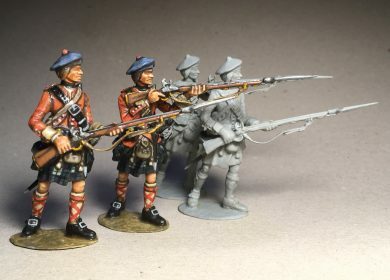 I want my toy soldiers to be historically accurate, and make a point of basing my miniatures upon primary sources, or, in default of these, on reliable secondary sources and historical re-constructions. I also want them to be well proportioned and true-to-life. 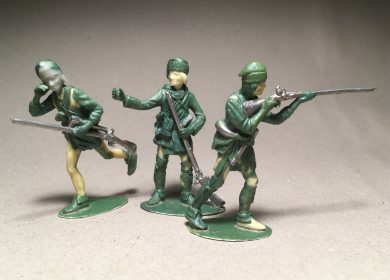 At the same time, however, I like my miniatures to retain that somewhat naive look that in my view constitutes a most essential part of a toy soldier’s charm. The mid 18th Century has been the heyday of the linear battle. The regular infantry fought orderly deployed in lines three to four ranks deep, while regular cavalry units, also deployed in closed ranks, secured the flanks of the battle line. 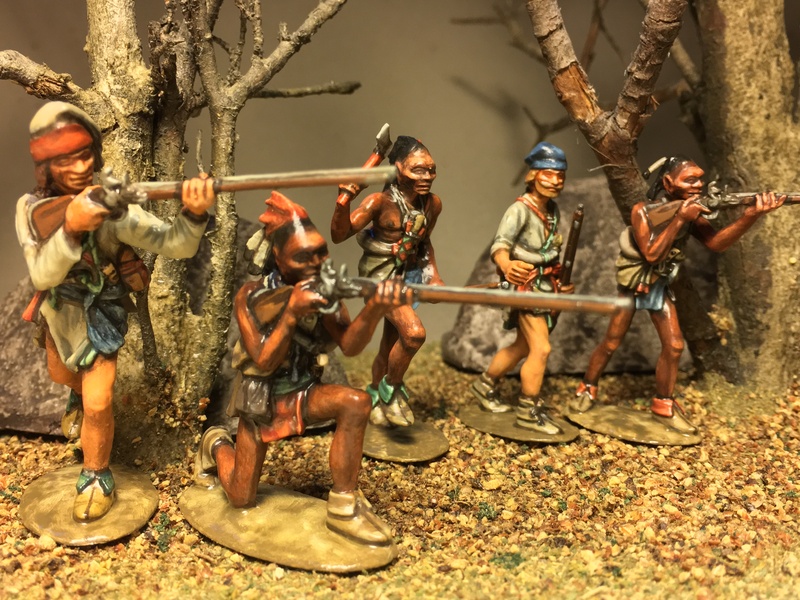 Conversely, I am happy to allow my irregulars more freedom of pose, although as a rule I do not favor extreme, acrobatic poses and find that more neutral ones look better, and are better suited for skirmish war gaming anyway. I make my toy soldiers in the 1:32 scale, which is generally considered to be the same as 54mm. Indeed, in the 1:32 scale, a man 1.73 m tall (if not the average, at least the ideal recruit for 18th Century standards) scales down to 54mm. But given a pair of shoes, he will stand about 1.76 m tall, that is 55mm. As real people come in different sizes, 1:32 scale figures may well range between, say, 50mm (a boy or a woman about 1.60 m tall) and 60 mm (a tall man of 1.84 m wearing shoes), 54 to 57mm being the rule for adult male figures. 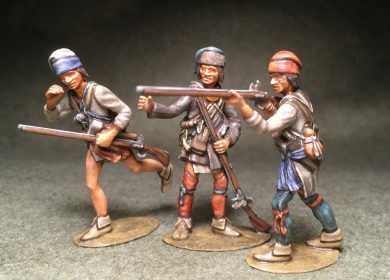 However, weapons and other standard objects should be reproduced exactly to their scale size, regardless of the size of the figures who hold them (a French M1728 military musket, 1.59 m long, scales down to 50mm. 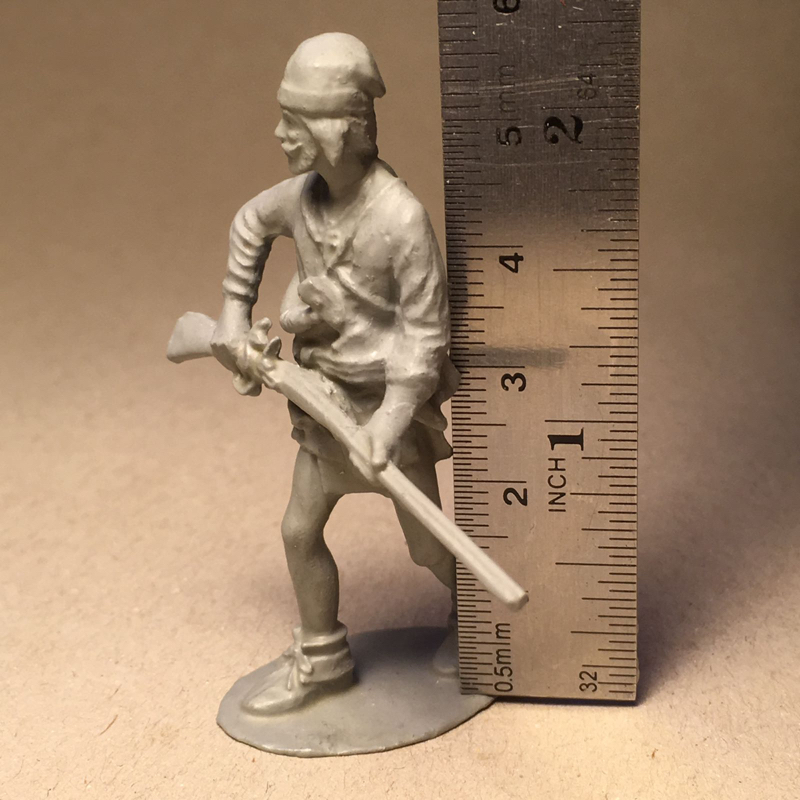 It may look long next to a 54mm soldier, but it is just right…).